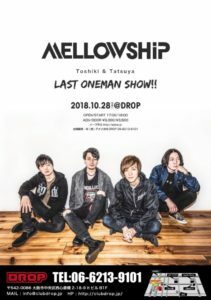 MELLOWSHiP Toshiki&Tatuya LAST ONEMAN SHOW! 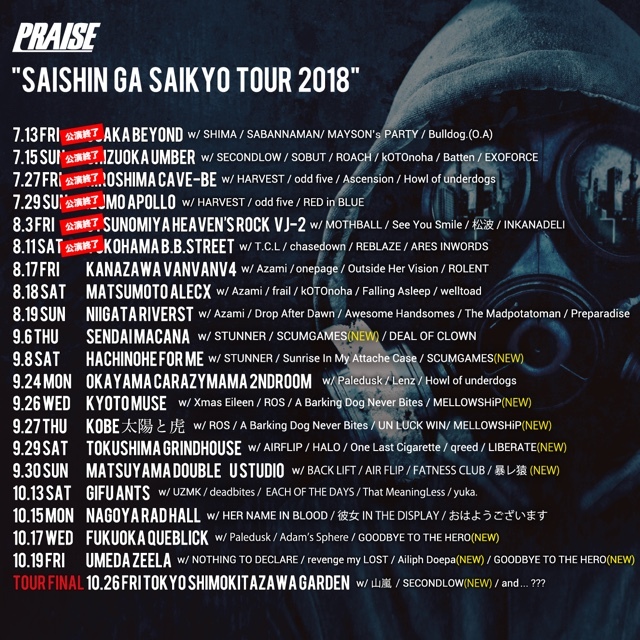 PRAISE「SAISHIN GA SAIKYO TOUR 2018」に出演決定!! 9/26(wed) 京都MUSE 9/27(thu)神戸 太陽と虎で行われる、PRAISE「SAISHIN GA SAIKYO TOUR 2018」に出演決定!! 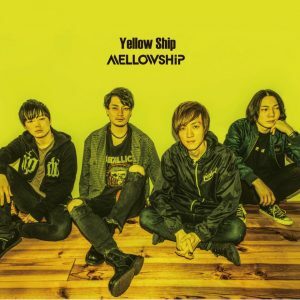 3rd Digital Single “Yellow Ship” 発売開始!!!!! 2nd Digital Single “SKY” 発売開始!!!!! HARVEST “tattva” Release TOUR FINAL & NOTHING TO DECLARE “Are You Where You Are?” Release Tour Final Seriesに出演決定!! 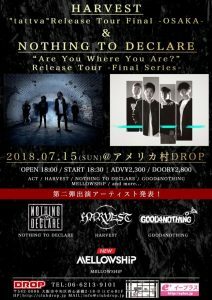 7/15 アメリカ村CLUB DROPで行われる、HARVEST "tattva" Release TOUR FINAL & NOTHING TO DECLARE “Are You Where You Are?” Release Tour Final Seriesに出演決定!! 1st Digital Single “No Way” MV解禁!!!!! 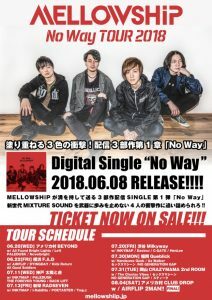 MELLOWSHiP "No Way TOUR 2018"